How much is a shoe conversion? Our shoe conversions start from $89 if you send us your shoes, depending on the type of conversion you choose. Can CCS supply trainers to be customised? No, we are a shoe customisation service, not a retailer of shoes so you must send your own trainers to us. I'm a fast bowler, what should I order? It is recommended that fast bowlers have a leather x-trainer converted with our hard sole material and opt for a fully stitched sole. Our heavily tested materials mean we are able to get maximum strength without significant weight gain. As for the spike number and placement, more isn't always better so best to select between 7 and 9 in the forefoot and generally 4 in the heel. If you drag your back foot then it is advisable to have this shoe reinforced with TuffToe®. A big toe cut out if also a popular option on the front foot if bruised big toenails is a problem. See our gallery for examples. I'm a spinner, what should I order? Keep it light and flexible, with a choice of a x-trainer or runner. Leather will be more durable but will add weight. Our light weight soling material in a split plate configuration is very popular with 7 forefoot spikes and dimpled rubber at the heel to stay light on your feet. Some spinners also use 2 spikes in the back plate. Both metal or golf spikes work well. Plastic golf spikes are lighter. I'm a batsman, what should I order? 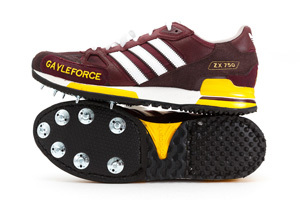 Most of our elite customers select lightweight a x-trainer and have the conversion completed with 7 forefoot spikes on a split plate with dimpled rubber heel. 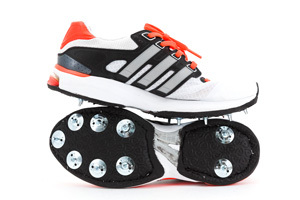 To keep the weight down even more, any mesh runner can also be converted into a perfect batting shoe. I'm a wicket keeper, what should I order? Generally a light weight material is used to convert a keepers shoes, and we offer golf sprigs at the heel to improve grip and agility for lateral movement. Any sports shoe is suitable! I'm an all-rounder, what should I order? If you need one pair of shoes to do everything, best to stick with a leather x-trainer such as the New balance 761 or Asics 750TR. 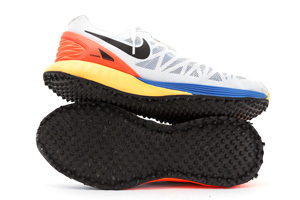 A full plate configuration with 7-9 forefoot spikes and our standard 4 at the heel is generally more than adequate. A full stitched sole is recommended for medium pace bowlers. I play on synthetic grass, can you help me? Of course, we've converted many pairs of shoes for synthetic grass and indoor environments. Select our full dimple sole option which provides maximum grip and stability for synthetic floors. Why do you need to stitch the soles? With many years’ experience in treating elite level cricketers, we’ve seen some fast bowlers destroy a pair of cricket spikes in a session! Our revolutionary method of stitching the sole to the inside of the shoe means your cricket spikes provide the grip you need and the durability you want. Our composite sole material is laminated in-house to ensure the highest standard of workmanship. Do you offer other shoes conversions? Our team can convert any shoe into the perfect golf shoe and we’re experts at adding a smooth flat shoe for lawn bowls too! Why was Custom Cricket Shoes started? The modern cricketer spends a great deal of time finding the right bat, pads, gloves, helmet and other equipment, but often finding the best shoes is overlooked. 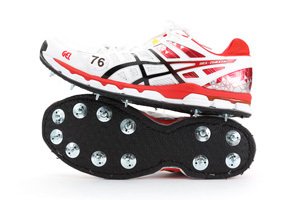 It makes sense to ensure your cricket shoes fit well, are suited to your foot shape and function, and meet the specific needs of your sporting endeavours. Many of our customers love their favourite jogger or cross trainer and want to have that level of comfort and support while on the oval. Others find our superior sole construction and reinforcing means they get significantly more durability and longevity out of their shoes. 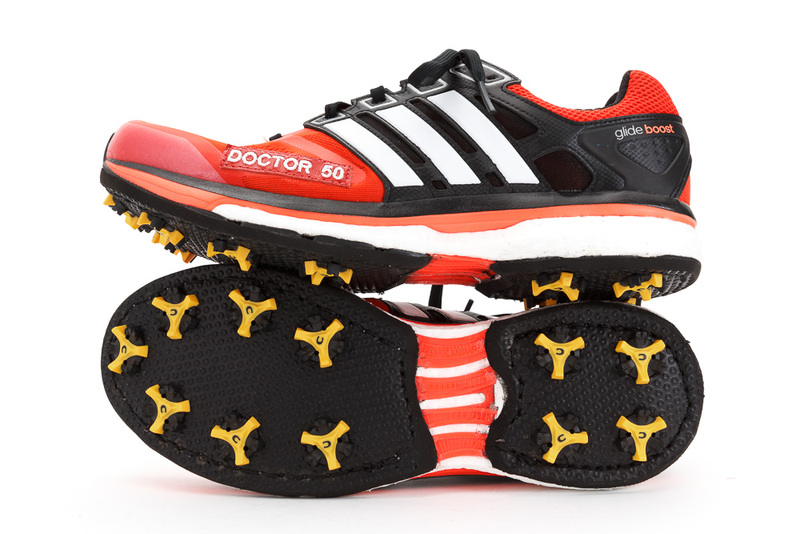 Some want ultra-lightweight shoes for short game formats which give them extra agility and spring in their step. We have tested our materials and processes rigorously to ensure our shoe conversions are the best in the world. 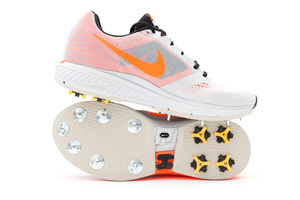 In addition, our full customisation service allows you to select how many spikes you want and where you want them. And because we are podiatrists and pedorthists to the sporting elite, we know feet and foot problems allowing us to add in features such as Achilles relief, heel lifts, big toe cut outs and more! Don't forget for that added dash of flare, we can stitch your nickname, player number or other unique mark to any pair of shoes! © 2016 Custom Cricket Shoes. All Rights Reserved.